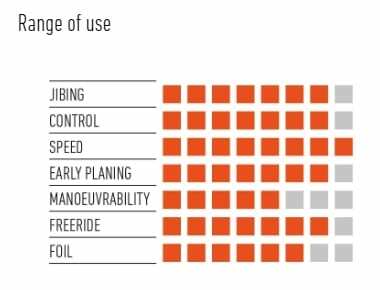 The Firestorm is designed to combine speed, early planing and easy jibing; the new Firestorm V5 line has been further improved working on details to extend its program of use. 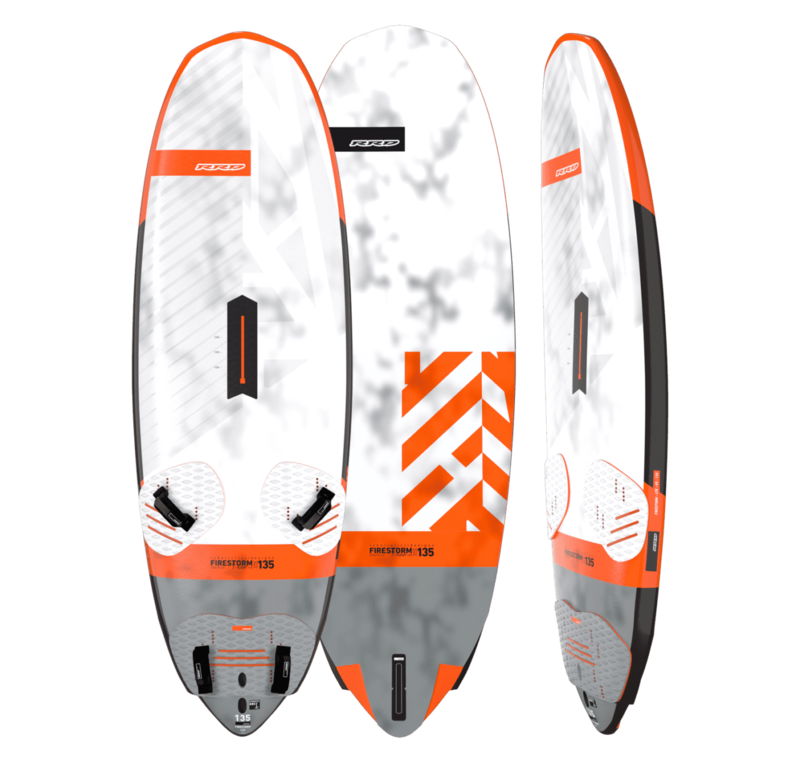 It comes with a new outline mixing a much wider nose on the same classic and succesful Firestom mid section and tail. 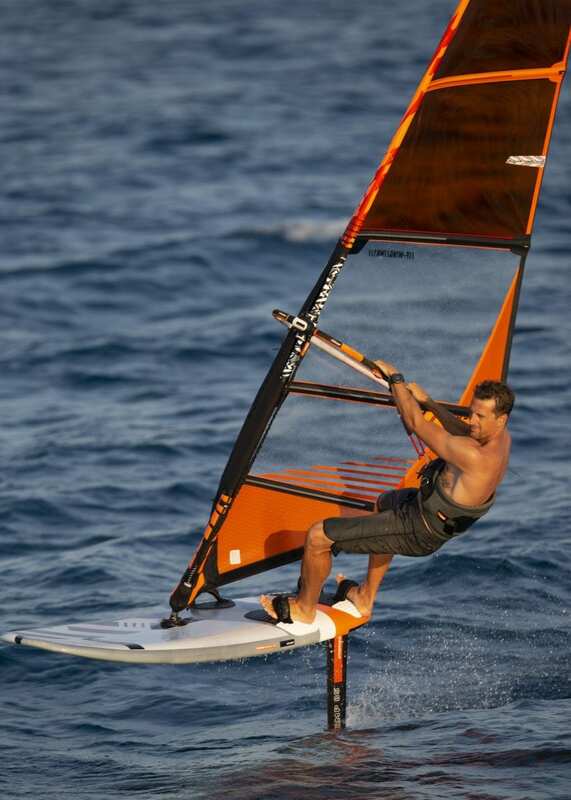 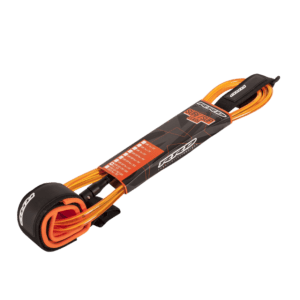 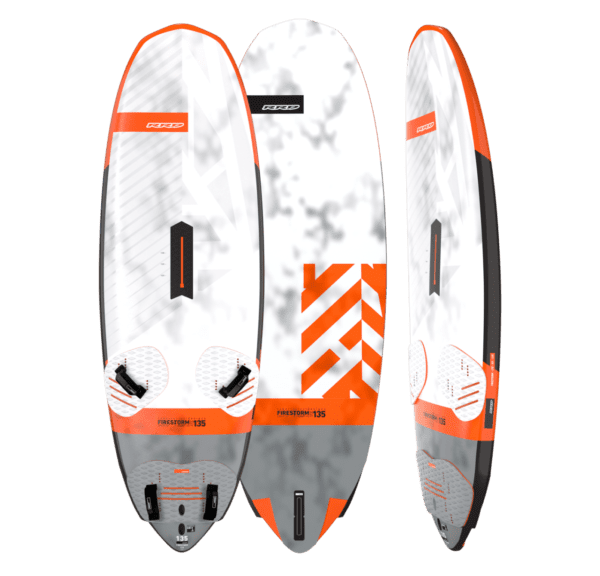 Thanks to this new feature, the board keeps tracking upwind better in light winds and creates an even better potential for top speed thanks to more parallel lines in the mid/front section of the board. 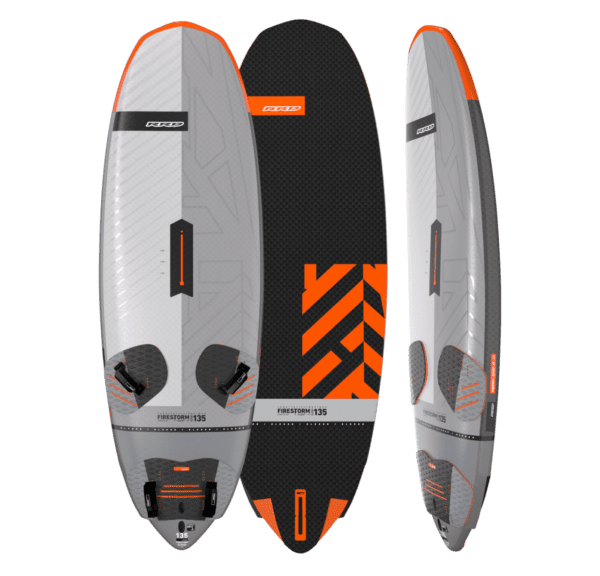 A pure blooded SLALOM DNA is assured by the use of the X-Fire 114 scoop rocker line, keeping the perfect trim over any type of water surface to allow you to be on the tip of your top speed potential at all times. The rest is all related to pure control, from the rail shape, to the marked TUE “tucked under edge” on the front and mid section to the wingered/toro tail design that has been firstly developed and used on RRD boards. 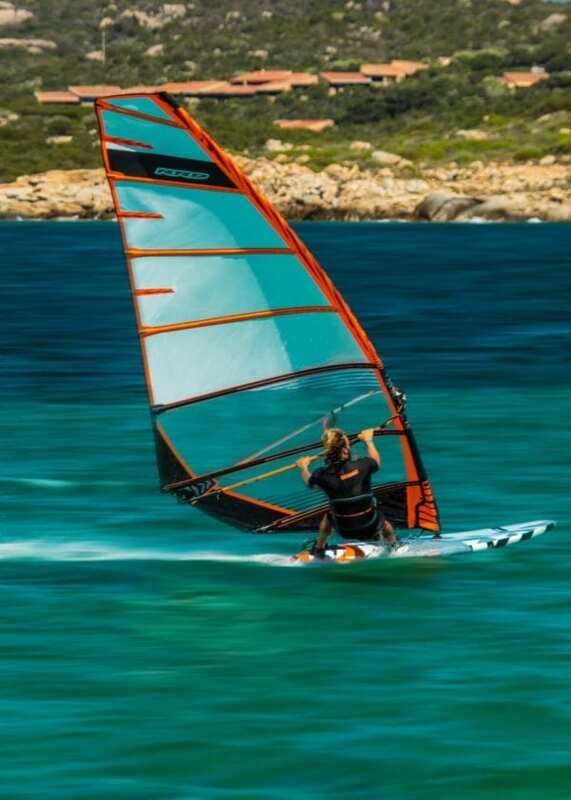 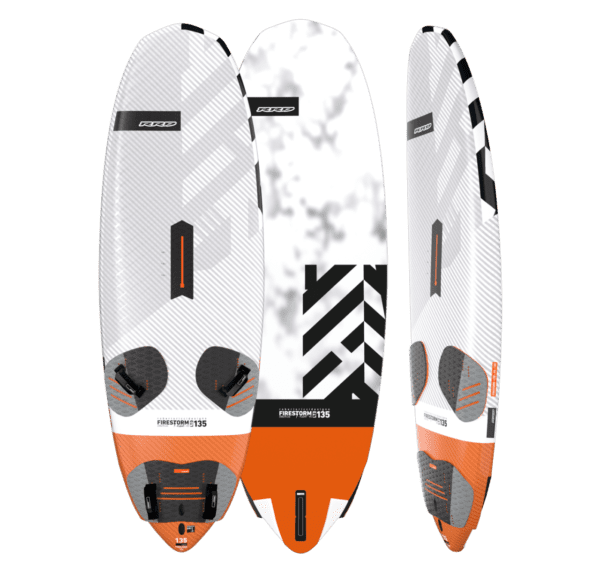 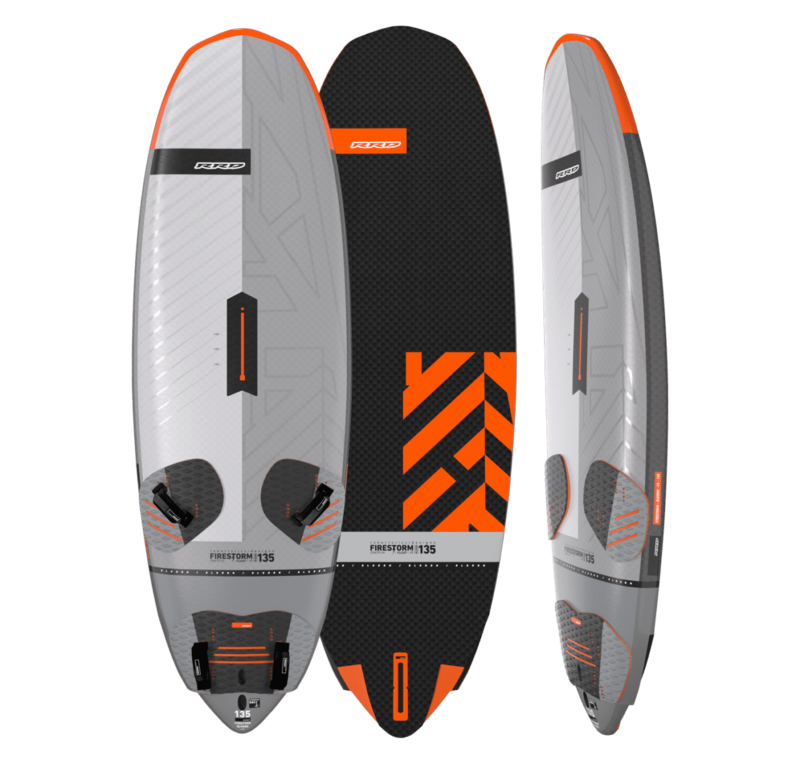 The new 135 FIRESTORM FLIGHT V5 is a mix between an easy and accessible freeride foilboard and a light/medium wind freerace machine.